I spend so much of my time in the car at the moment. We go on so many adventures as a family – where Dave will usually drive – but I also clock up so many miles on my own. At least once a month I drive to Colchester at the moment, two hours each way, and I meet up with friends regularly who often live two or more hours away from me, meeting up halfway for a catch up and a cup of tea. As a child we didn’t really go anywhere. Petrol was expensive, days out weren’t cheap and our days were spent so close to home. My world was fairly small growing up. But, as soon as I learnt to drive I decided that the world would be my lobster (I know, it should be oyster, but it’s lobster to me) and I would explore as much as possible. So, we regularly go on days out that are an hour and a half or two hours from us and I’ll think nothing of driving an hour each way to meet a friend for lunch whilst the children are at school. I think, as soon as I passed my driving test I realised that the world is as big or small as we make it and distance shouldn’t stop us from exploring, doing new things or keeping in touch with friends. 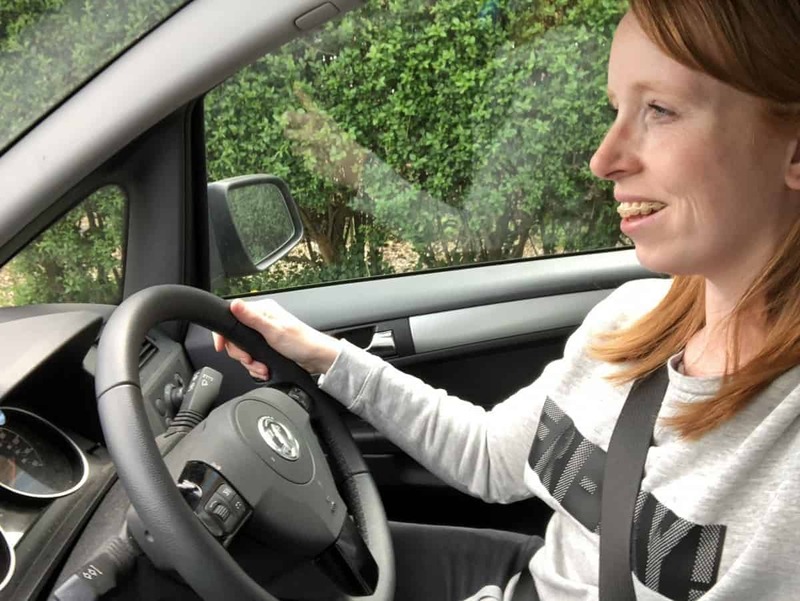 So, if friends, family or days out are within travelling distance I always try and say yes and make it happen – even if that means I spend quite a chunk of time in the car. But I love driving. When I passed my test at 19 it opened up my world. 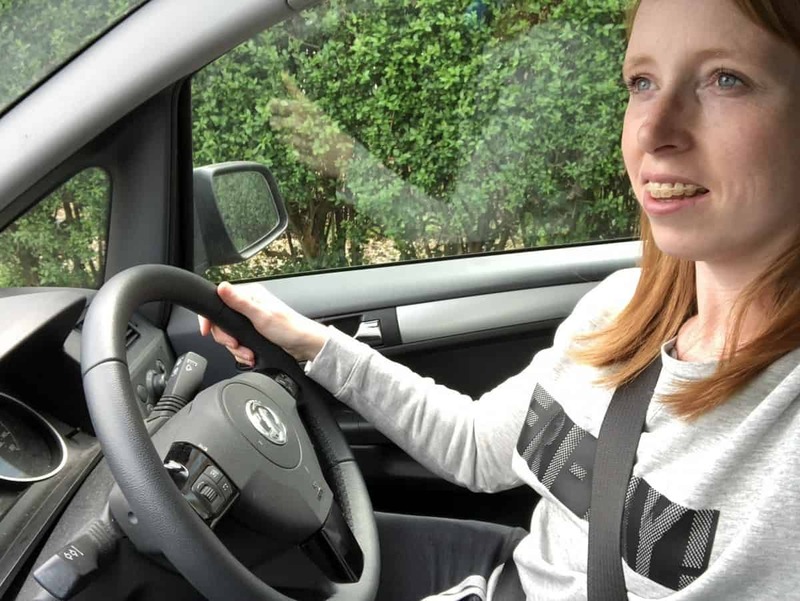 It gave me opportunities and independence and although I was quite a nervous driver to start with I knew that if I didn’t force myself to get out and about I never would – and I would always stick to those same roads that I was used to. Now, as long as I have my sat nav I’m happy. I drove to Cornwall by myself with the children in February half term and I took them to Devon in the Easter holidays – as well as Wales with Dave and our friends. We do well over the UK average 10k miles a year in the car but we see so much, do so much and the children are seasoned car travellers now too – they love an adventure and always wonder where we’ll end up next. Driving is such a big part of my life and I can’t imagine being without our car now. We use it for work, the school run when the weather isn’t great and it takes us to so many exciting places and to meet so many friends. Driving is definitely an ordinary moment for me. I think people forget how much you can see and do when you just jump in the car and drive somewhere. I’m not hugely a fan of driving, but I couldn’t imagine life without a car! I love that you drive so much and we get to meet up! I’m the same as you. Driving is freedom and I love it. I used to do 33k miles a year due to my work commute, but now it’s much lower so I only really do around 13k a year now. We can’t not drive here because everything is too far away to walk or cycle.